A facility connecting hardware device enabling the terminating of cable elements on insulation displacement connector modules and their connections by means of a patch panels. Patch panels are used for termination of cables in both cross-connection and interconnection style. Patch panels make it easier for moves adds and changes. Our principals, Leviton and MMC have a wide range of patch panels featuring 110 IDC and in many formats and port densities. Multimedia patch panels are also available which can accommodate different types of keystone jacks. 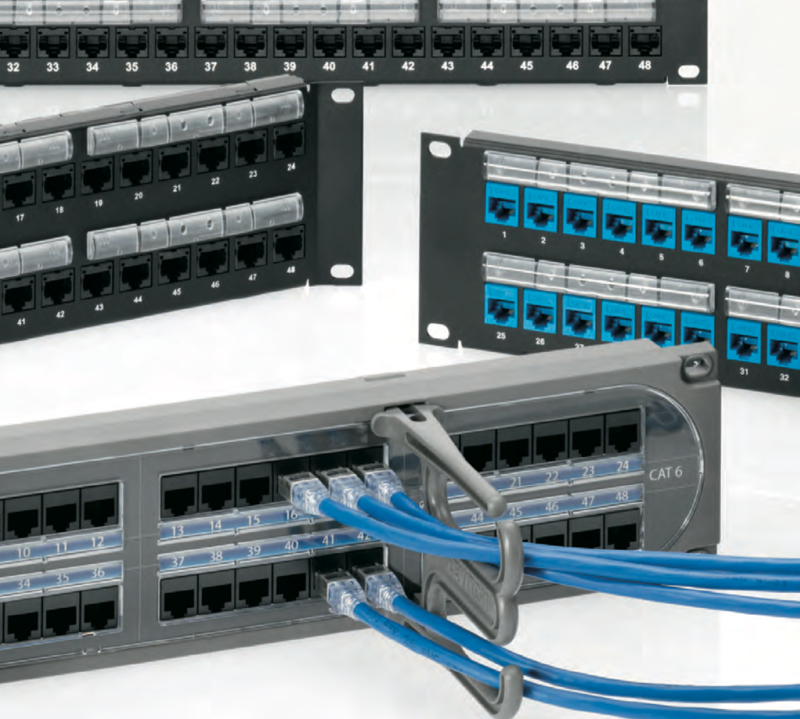 Patch panels are also available for intelligent cabling system.